Kevin Corke has the latest on the FBI raid and the government's response to the recent attack in Syria. The FBI did not immediately respond to Fox News&apos; request for comment. “If in the course of his or her investigation the Special Counsel concludes that additional jurisdiction beyond that specified in his or her original jurisdiction is necessary in order to fully investigate and resolve the matters assigned, or to investigate new matters that come to light in the court of his or her investigation, he or she shall consult with the Attorney General, who will determine whether to include the additional matters within the Special Counsel’s jurisdiction or assign them elsewhere,” the code reads. That “elsewhere,” in this case, could be referring to the U.S. Attorneys’ Office in the Southern District of New York. When asked whether it was Attorney General Jeff Sessions or Deputy Attorney General Rod Rosenstein who directed the jurisdiction, the Justice Department declined to comment. A spokesman for USDNY declined comment to Fox News. Daniels, whose legal name is Stephanie Clifford, claimed she had a one-time sexual encounter with the president in 2006 and was paid $130,000 by Cohen in the days before the 2016 presidential election as part of a nondisclosure agreement she has sought to invalidate. 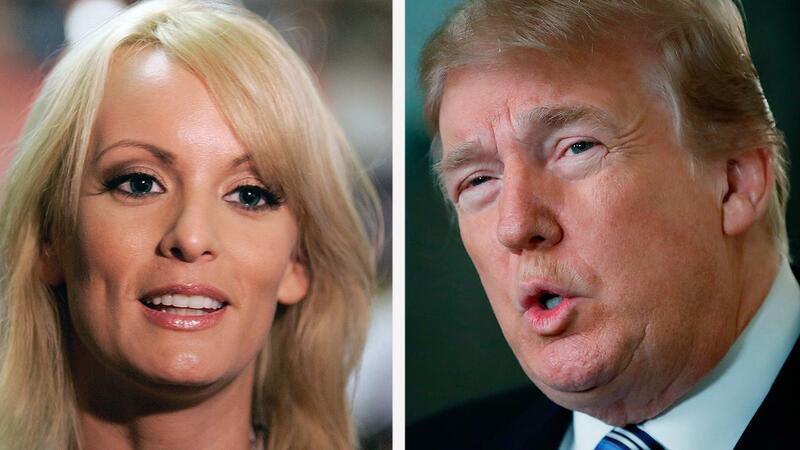 Daniels and her attorney, Michael Avenatti, have pushed for depositions from the president and Cohen. Cohen had been living in a hotel room while some repairs were being done to his apartment, Fox News has learned. Two White House officials told Fox News on Monday that the president was watching cable news when reports broke that the FBI had raided Cohen&apos;s propery. It is unclear at this point, though, whether the president has spoken with Cohen. Last week, Trump was asked by reporters during a gaggle on Air Force One whether he knew about Cohen&apos;s $130,000 payment to Daniels. “No,” Trump responded. Trump also said he did not know where Cohen got the $130,000 to pay Daniels in the days before the election. Fox News’ John Roberts, Kristin Brown, Serafin Gomez, Mike Arroyo and The Associated Press contributed to this report.